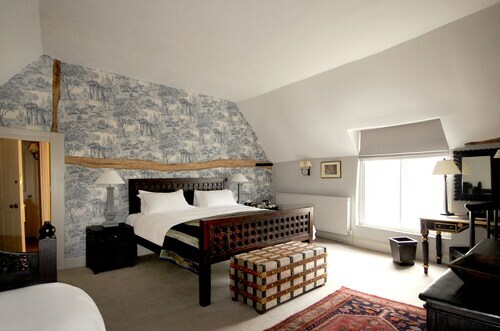 Situated in the historical district, this inn is 1.7 mi (2.8 km) from Burghley House, and within 9 mi (15 km) of Rutland Water Nature Reserve and Barnsdale Gardens. Elton Hall & Gardens and Grimsthorpe Castle are also within 12 mi (20 km). Stamford Station is 11 minutes by foot. 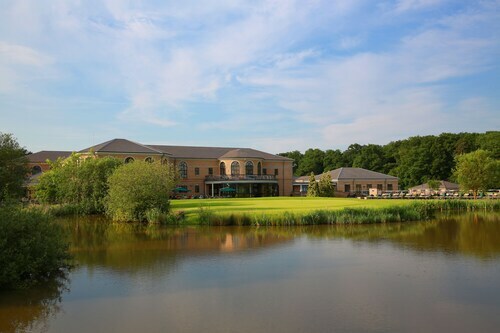 Situated in Stamford, this hotel is 0.1 mi (0.2 km) from Browne's Hospital and Museum and 1.5 mi (2.4 km) from Burghley House. Stamford Meadows is 0.2 mi (0.3 km) away. Stamford Station is 7 minutes by foot. 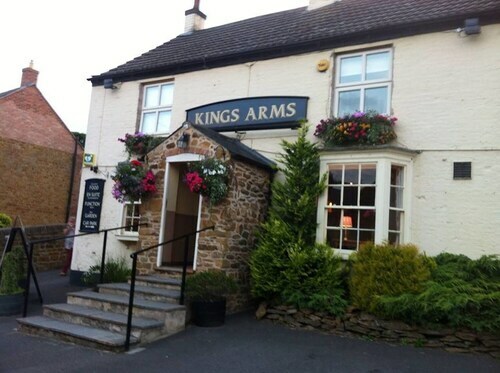 Situated in Stamford, this inn is 0.2 mi (0.3 km) from Stamford Meadows and 1.3 mi (2.1 km) from Burghley House. Browne's Hospital and Museum is 0.4 mi (0.7 km) away. Stamford Station is only a 4-minute walk. 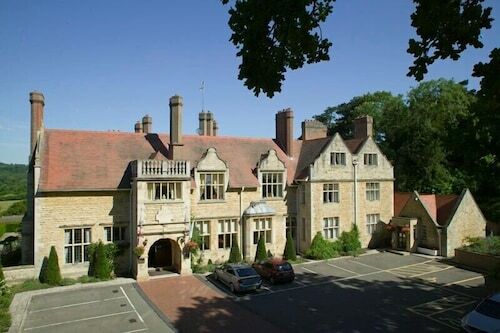 Situated in Stamford, this bed & breakfast is within 1 mi (2 km) of Stamford Meadows and Burghley House. Browne's Hospital and Museum is 0.5 mi (0.8 km) away. Stamford Station is 7 minutes by foot. 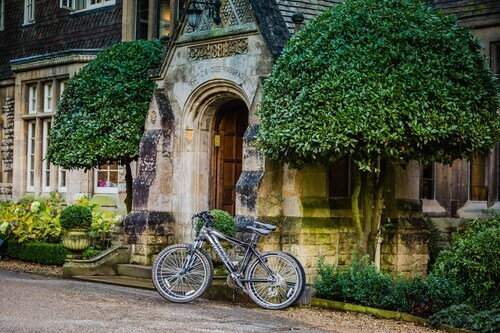 Situated in the historical district, this hotel is within 1 mi (2 km) of Stamford Meadows and Burghley House. Browne's Hospital and Museum is 0.5 mi (0.9 km) away. Stamford Station is 8 minutes by foot. 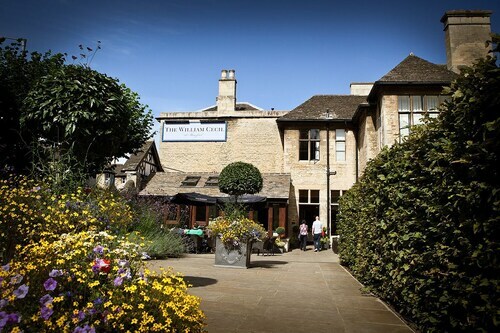 So, you're considering a trip to Stamford? If you'd like to find accommodation that's located close to the sights, you can enter your holiday dates and then use the filters beside your hotel search results to find somewhere to stay near the area's attractions. You can choose among 6 Stamford hotels and accommodation options to find a place you'd like to stay. 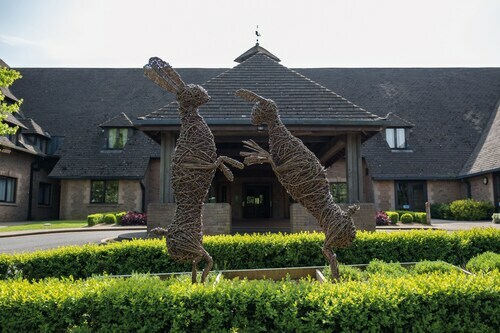 When you're thinking about where you want to stay in Stamford, you'll be able to quickly and easily search ebookers for hotels offering services such as high-speed Internet, a swimming pool or free airport transport. You can take advantage of the filters to narrow down your hotel search, so you can get the services that are important to you, such as an in-room kitchen or air conditioning. When arranging your Stamford getaway, you can also use ebookers to search for a convenient flight into Nottingham (NQT) Airport. You can narrow down your search by number of stops, airline or time of departure to find the one that works best for you. When is the Best Time to Explore Stamford? If you're curious when is the best time of year to explore Stamford, you may find this information about seasonal weather helpful when planning your trip. The warmest months in Stamford are typically July and August, whereas the coldest months are usually January and February. The months with the most rain are November and September, whereas April and May have the least. Between October and December, the average temp during the day is 16°C and 2°C at night. Seasonal average rain is 7 mm. 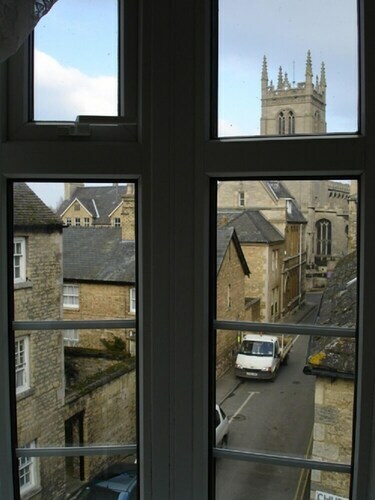 The average annual rainfall in Stamford is 21 mm. The outside the front of this property looks very quaint with beautiful brickwork and pretty plants. Unfortunately the inside is very dated throughout with little character to match the outside. Our room was a very large double until we lifted the duvet off and discovered it was two mattresses so someone tends to end up sleeping on the divide. The nice touch of plastic sheeting finishes off the whole sleep experience! The main redeeming quality is a fantastic cooked breakfast with local produce. Room is comfortable snd very quiet once the pub has closed. Friendly staff and excellent food. Also in a very convenient location for us. Only niggle is that the toilet seat in Grange View room is a bit crooked and the lid has a tendency to hit you in the back when sitting on the toilet! staff very helpful, arranged a room with a shower for me. meals next door fabulous. 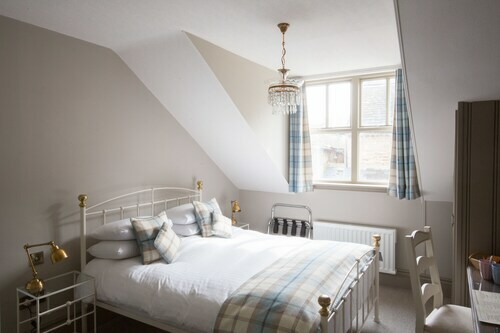 This is a beautiful inn full of character set in the lovely little village of Ufford. 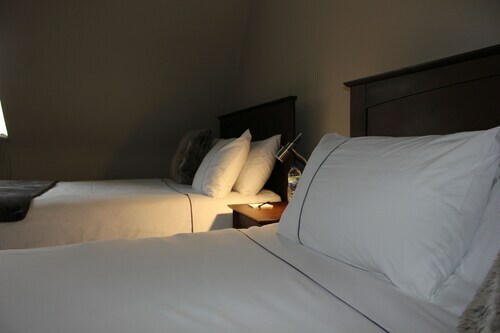 We really enjoyed our stay - the room was modern and well appointed. The pub itself is tremendous, great food, helpful staff - Paulw as very responsive to my questions about check-in/check-out and breakfast! You can't really ask for any more, congratulations to Paul and his team. 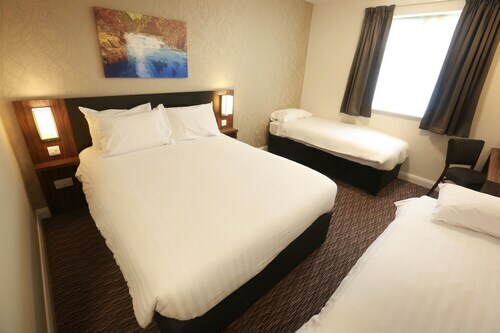 Lovely Staff, clean and warm rooms. Expensive restaurant. Nice hotel and location - food dreadful - overpriced and awful quality. Staff were very good and the room was clean.